Part of having a successful pizza shop is making sure that you have the right equipment. When you are buying your equipment and materials for the shop, you should always buy the best that you can afford. This is true about the pizza ovens down to the napkins. Here are some of the most important equipment and pizza supplies that you will need to have when opening a pizza shop. You need to have a good pizza oven if you hope to run a pizza shop. You will find that you have a number of different options when it comes to the type of oven you can choose. Brick pizza ovens are a great choice, but they are not practical for all types of pizza shops. Other options include pizza deck ovens, and countertop pizza ovens. Most of the ovens are going to be able to cook the pizzas quite quickly, so the one that you choose will likely be a matter of personal choice, space, and budget. Of course, you have to make sure that you have high quality kitchen tools while you are making the pizza and the other food in your pizza shop. You will need to have pizza peels,dough dockers, pizza cutters, as well as dough pans and dough sheeters. You also have to have high quality pizza pans unless you are baking directly on pizza stone. If you have a seating option in the pizzeria, you will need to provide utensils those who dine at your establishment. 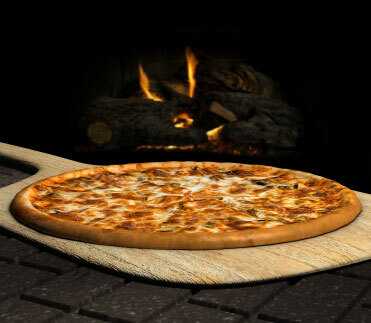 Pizza baking stones could be a good option for a pizza place as well. These stones are a great way to offer even heat distribution to the pizzas that you are making. They can also help to cook other types of baked goods evenly. If you offer pizza delivery, then you must be sure to have more than just boxes for delivering the pizza. You will want to have insulated, thermal pizza delivery bags that will help to keep the pizza nice and hot until it gets delivered. Uniforms for your delivery drivers, or at least hats, are a good idea, although it is something that is overlooked by many pizza shop owners. If you have a dining area in your pizza shop, you want to make sure that you have nice tables and chairs, as well asnapkindispensers, salt and pepper shakers, parmesan cheese shakers, and other essential tabletop items. You will also have to make sure that the dining area is presentable, so you will need to select the right décor. You also have to make sure that you have high quality ingredients for your pizza and all of the other food that you make in your shop. If you do not use the best quality ingredients available, chances are you are not going to have patrons return to your shop.